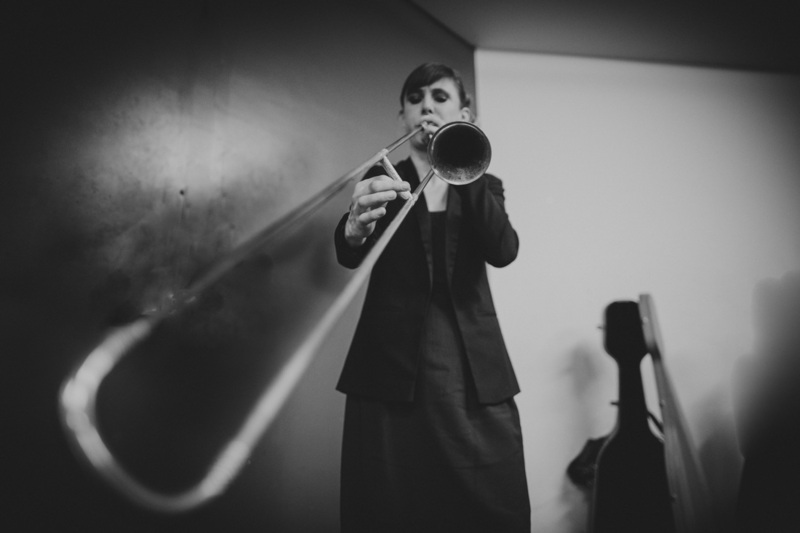 Emily White is professor of sackbut at The Guildhall School of Music and Drama. She also teaches trombone and sackbut at The Royal Welsh College of Music and Drama, Wells Cathedral School and co-directs the Huntly Summer School which she co- founded in 2010. She was made an Associate of the Royal Academy of Music in the 2016 honours and became an affiliated solo artist to Conn-Selmer in the same year. Emily is a member of The English Cornett & Sackbut Ensemble (ECSE) who have two Gramophone award winners and a Diapason D’Or in their extensive discography. ECSE play internationally, performed their BBC Proms debut in 2013, and are especially known for their collaborations with vocal ensembles such as I Fagiolini and Alamire. The Spy’s Choirbook was voted Best Classical CD of 2014 in The Times, and won the Gramophone Award for Early Music in 2015. Emily also plays baroque violin, and studied with Rachel Podger and Walter Reiter. She has been asked to play violin for I Fagiolini in 2017, in Italy and UK, performed Scylla and Charibdis - A Concerto in the Fantastic Style written for her by Rachel Stott in Redland, Los Angeles in June 2017. She plays fiddle in The Brewery Band who gave their debut recital in the Classical Transmissions series 2018. Emily is a member of Pandora’s Box, the contemporary trio with John Kenny and Miguel Tantos-Sevillano who have given recitals across Spain, Portugal, Ireland and USA, were Artists in Residence at the 2016 Cumnock Tryst, and were guest artists at the 2017 International Trombone Festival in California. She recorded The Secret House, Solo Sonata for female trombone written for her by John Kenny and it was released on disc, The Secret House, in 2017 alongside duets written for her and Kenny. Emily studied trombone and violin at The Royal Academy of Music, Guildhall School of Music and Drama and Trinity Laban, and is very appreciative of the inspiration and ideas she has received from teachers and colleagues alike.